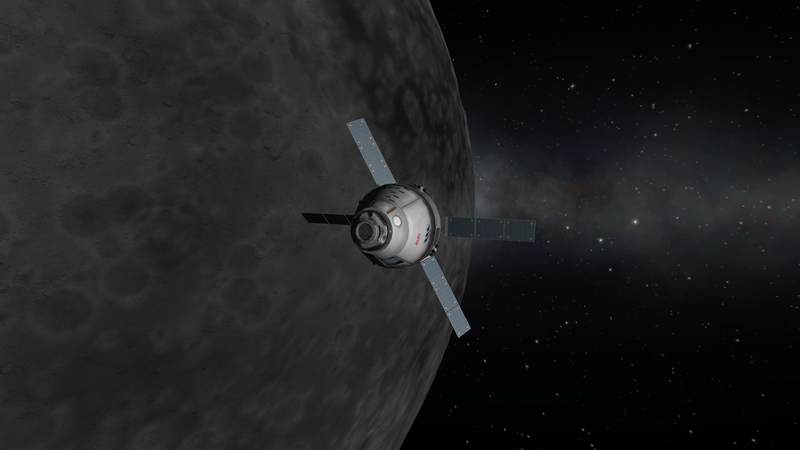 Gridded Ion Engines: like the stock Dawn, they have low TWR and great Isp. They run on Xenon fuel. Hall Effect Thrusters: similar to Gridded thrusters, but with better TWR at the cost of some Isp. They run on Argon fuel and are pretty cheap! Magnetoplasmadynamic Thrusters: with the best TWR of all electric engines, these engines are very power-hungry. They run on Lithium fuel. 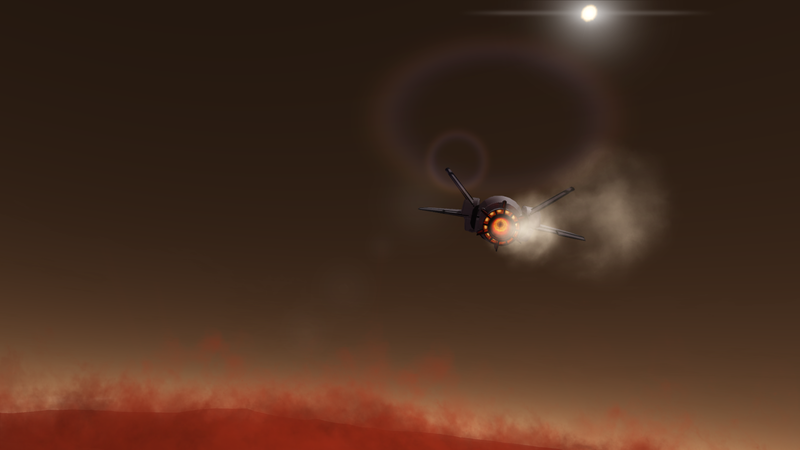 Pulsed Inductive Thrusters: similar to Hall thrusters, they run on Argon fuel and have the unique ability to dump extra electricity into the engine, increasing Isp but generating more heat. These engines are all very power hungry - use nuclear reactors or high intensity solar to get the power you need. Their balance has been finely tuned to work with stock mechanics and to extend the KSP experience, particularly in combination with the Community Tech Tree. Q: Will you add a part I want? A: I have defined this mod as feature complete, and bugfixes are all I plan to add. Q: Does this work well with KSPI-E? Nuclear Reactors: Turn Uranium into power! Attach nuclear reactors to your vessel and generate large amount of electricity. Ensure that you have enough cooling capacity with radiators for your reactors to work properly. 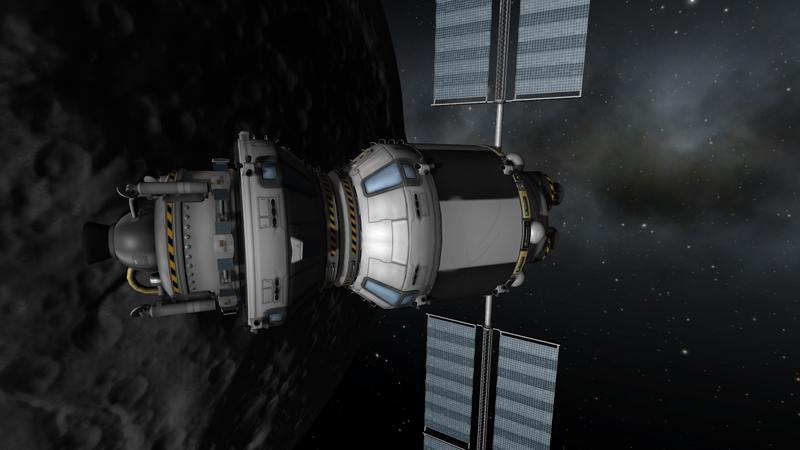 Refuelling Parts: store extra uranium, reprocess it and extract it from Ore with containers and reprocessors. Capacitors: discharge for a burst of power! These parts can be charge up with normal generating capacity, and once activated will deliver a large amount of power to your ship's electricity banks. Very mass efficient! This pack contains many concept solar panels to use on your ships and stations. There are many sizes ranging from small form-factor panels up to gigantic solar arrays. Additionally, some wraparaound solar panels are provided, for coolness. This pack contains a variety of parts for making crewed spacecraft. This means command pods, landing legs, service bays, utility pods and more RCS options. In addition, there is a line of monopropellant tanks and associated engines. Q: What is up with the RPM IVAs? A: Some exist but now require the ASET props pack to work. They only function for the older (Mk4-1, Mk3-9, PPD-1) pods. 5.0m Parts: a balanced and extensive part set that provides a new size of rocket parts. Comes with tanks, adapters, utility parts and specialized components for engine clustering. 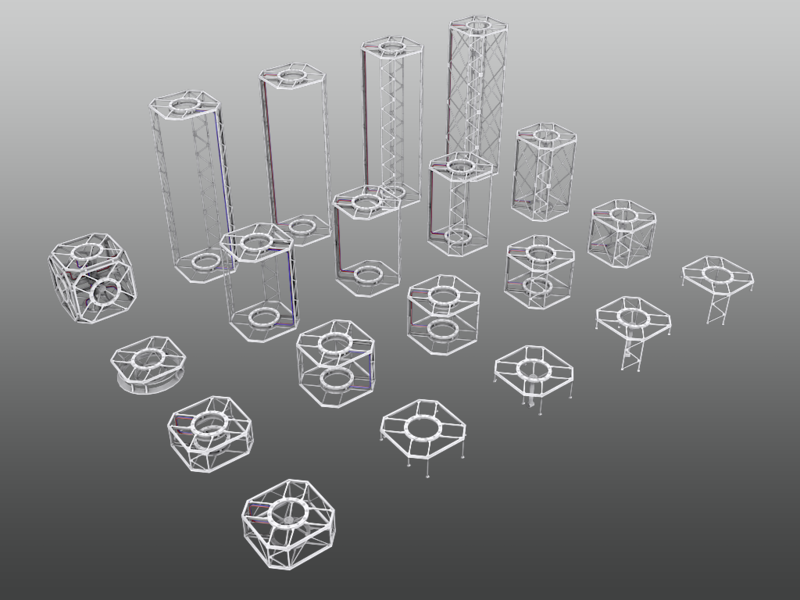 7.5m Parts: an extra-large set of rocket parts for those huge constructions. Includes adapters, clustering and utility parts. 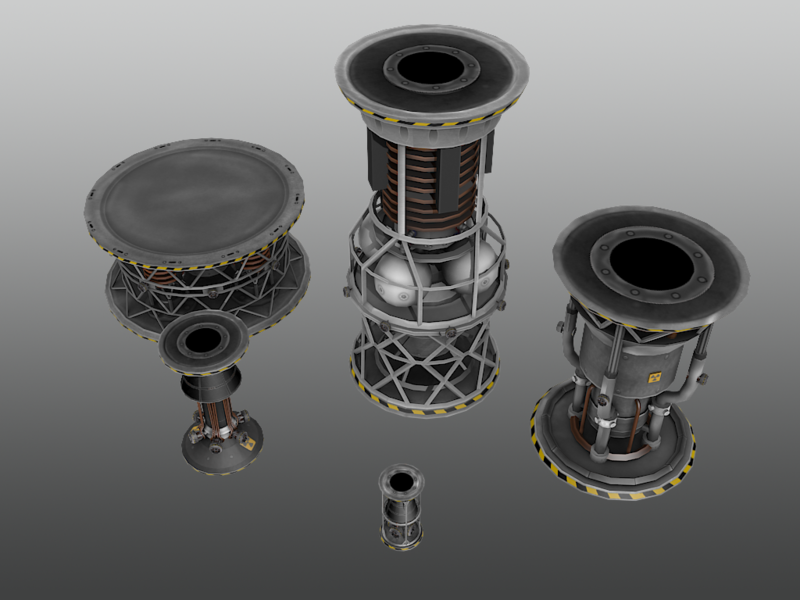 Support Parts: new supporting parts that help enhance the large rocket experience, like heavy RCS thrusters. This pack contains large and powerful aerospace parts, such as jet engines, intakes, and nacelles. It was preciously part of the MkIV Spaceplane system but has been split off. Large Multimode Engines: Big (2.5m), powerful RAPIER-like engines for your wildest spaceplane needs. Large Jet Engines: Hefty 2.5m engines - turbofans and turbojets for big aircraft. Advanced Propeller Engines: Super-efficient low speed propfans and turboprops. Lift Fans: Designed specifically for efficient VTOL and available in many sizes, these engines can run on LiquidFuel and air, or be driven electrically for flight in oxygenless atmospheres. Nuclear Jet Engines: Massive, rewarding engines that let you fly almost forever! Large Nacelles and Intakes: Of course, 2.5m nacelles, engine pods, precoolers and advanced intakes to help out. A: I appreciate suggestions from experience aeronauts for engine balance, it's not really my speciality (Sith lords are). A big hand to @Streetwind , who basically designed the balance for the whole NFT suite. First Second! Also, thanks @Nertea for your great work. This took a while because motivation was low, but I think I'm back on the wagon now. Additionally, please note the license change for all mods going forward. positively thrilled to see an update for some of the most essential mods out there! thanks so much! -asking this here since the 'new' RO thread is down. A big THANK YOU Nertea! It's a shame indeed! This was a headache to put back together. Yay! I'm gearing up for a new campaign and NF parts are a must. Can't wait for Spacecraft and Station Parts! 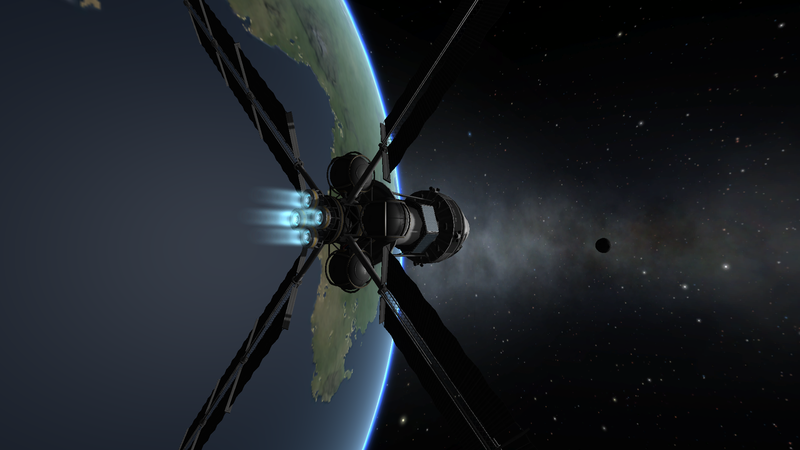 I've had no problems with the non-updated Spacecraft and Station parts working in 1.2.2. Thank you @Nertea For your awesome work and dedication. Yay! I'm gearing up for a new campaign and NF parts are a must. Heck yea. NF is always high on my list. SSPX is updated now. Spacecraft will work just fine, there are some known issues though that will be resolved in the upcoming version. 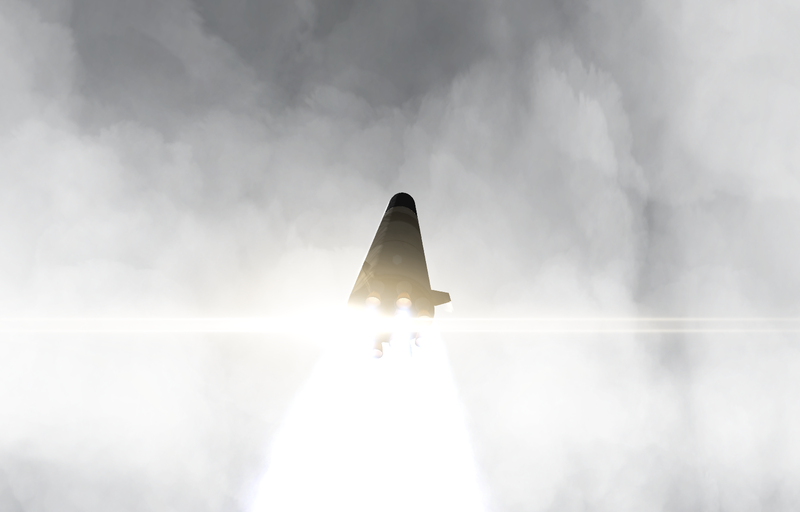 Some of the most beautiful parts ever made for KSP. So happy you're still making these. Sorry to make more work for you. I do enjoy the pack and thanks for all the effort you've put into it. I wouldn't have expected you to do so. But now you don't have to worry about forgetting it again when you do.